There’s no question that moving your business IT into the cloud, at least at some level, potentially has huge benefits such as lower costs, flexible mobile working, collaborative working, improved scalability, business automation and reduced deployment times. But with the bewildering amount of contradictory information floating around on the Internet, not many really understand exactly what it means or what it entails. 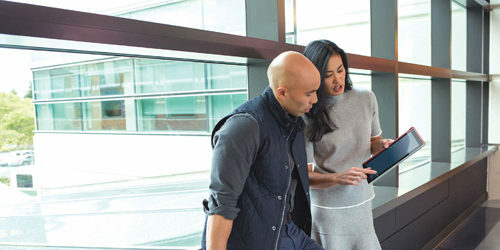 Office 365 is a great way for businesses of all sizes to start moving to the cloud. It is a hugely capable platform offering so much more than another way to buy desktop Office products. Even those already using Office 365, often don’t realise the power and capabilities of the platform and therefore don’t extract the huge business benefits available to them. Over the coming months, we will explain some of the capabilities and features of the technology. We will focus each month on a different aspect to provide some insight into how your business might start a journey towards operating in the cloud and become more efficient, productive, flexible and effective. But this month we are going to focus on some of the myths surrounding cloud technology and Office 365 which may help alleviate concerns that you may have. Office 365 is just Office tools in the cloud, and I can only use it online. Office 365 is a suite of cloud-based productivity services, which can include: All of the Office desktop applications you already know and use, including Microsoft Word, Excel, PowerPoint, Outlook, and OneNote, with the added benefit of being licensed, deployed, and updated as a service. These applications are installed on your devices (up to five of your devices per account), so they’re available even when you are offline. And you have the option to store data in the cloud. • Exchange Online for email & calendaring. • SharePoint Online and OneDrive for Business for collaboration, websites, workflows, and enterprise file sync and share. • Skype for Business for voice, instant messaging, meetings, and presence. • Yammer for social collaboration. • Sway for slick and easy presentations. • Planner for task and project management. • Flow to create automated business workflows. • PowerApps to create powerful business apps without coding. It’s becoming increasingly clear that your on-premises systems aren’t inherently more secure than they’d be in the cloud. Microsoft hires the best and brightest when it comes to thwarting security breaches, and have the scale and resources most companies can only dream about. As good as your on-premises security may be, it will always be a poor match for what the likes of Microsoft will invest in this area. To keep Office 365 security at the pinnacle of industry standards, their dedicated security team uses processes such as the Security Development Lifecycle; traffic throttling; and preventing, detecting, and mitigating breaches that many companies don’t have the resources to ensure. Microsoft Office 365 has a 99.9% financially backed uptime guarantee. Additionally, Microsoft employ industry-leading regulatory compliance experts. They know and keep up to date with the latest regulations and rules. When you move to the cloud, headaches and time spent maintaining hardware and upgrading software are significantly reduced. This means that in reality you have far more control and oversight and now you and your team can focus on the business rather than maintaining your IT infrastructure. You have more time to spend improving business operations and launching agile initiatives. While the benefits of cloud are potentially huge, no one would really advocate fork-lifting your entire enterprise to the cloud over the weekend. Most implementations start with a hybrid approach, moving a single application, like email, and growing from there. Many companies are moving productivity workloads to the cloud; the path for each is different, and the time it takes for those migrations varies. We can help you move workloads such as file sync and share (OneDrive for Business) or email (Exchange) first, and then help you figure out the right long-term plan for more difficult or larger projects. It may be that you eventually move your entire business to the cloud or it could be the case that it is more appropriate to maintain a hybrid approach. Corporate spies, cyber-thieves, and governments will have access to my data if it is in the cloud. This is a top fear many businesses have about the cloud. But it’s unfounded. You decide on access rights and restrictions. Your company remains the sole owner: You retain the rights, title, and interest in the data stored in Office 365. • They do not mine your data for advertising or for any purpose other than providing you services that you have paid for. • If you ever choose to leave the service, you take your data with you. • Privacy controls allow you to configure who in your organisation has access and what they can access. • Extensive auditing and supervision prevent admins from unauthorised access to your data. Strict controls and design elements prevent mingling of your data with that of other organisations. Even Microsoft data centre staff do not have access to your data. Moving some or all of your infrastructure to the cloud can seem daunting but with the right approach, there are huge potential benefits to be gained. Of course there is much to consider and careful planning with your cloud technology partner is a must. 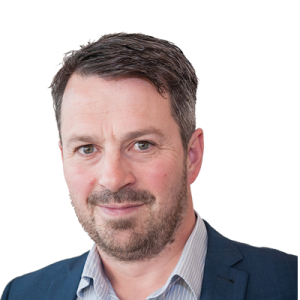 How far down the path towards cloud technology your company goes is very dependent on your organisation’s circumstances, needs and aspirations but hopefully you now appreciate that many of the perceived barriers and concerns are unfounded myths.